For almost sixty years, the Feria de las Flores event in Medellin, Colombia, has been one of Latin America’s most vibrant events. Grand Valley State University’s Latino Student Union (LSU) will bring some of the event’s famous flair to one of its bi-annual dinner-dances taking place Friday, March 24. 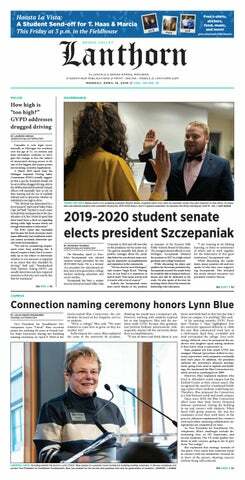 Members of LSU look forward to these dinner and dance events, which have become a tradition within the organization and a way to connect members of the GVSU community. The Feria de las Flores event is no exception and gives students a reason to dress up and relax before finals begin. The event, which will take place from 8 p.m. to 11:59 p.m. in the Grand River Room, is free to students. Most of LSU’s past dance events have been centered on Mexican culture and tradition, but this semester the group decided to focus on a Colombian event that welcomes spring to the campus community. “We do dinner dances for everything based off Latin culture,” said Rodrigo Mata, LSU secretary. "We’ve been focusing on Mexican culture, but this time we decided to branch out and focus on a different Latin country. So we decided to do a really pretty one from Colombia." The Feria de las Flores event originated from Medellin, Colombia, which is often called “the flower capital of Latin America.” It is a world-famous event celebrating Colombian cultural traditions and botanical excellence. The culture proudly exhibits the countryside’s flourishing mixture of flower and plant life, which give Colombia its reputation as one of the most beautiful countries in Latin America. During the week-long celebration, the city of Medellin becomes an intersection of color, dance, food and celebration among participants of all nationalities. Despite the cheerful, vibrant appearance, Feria de las Flores also symbolizes the independence of Antioquia, Colombia, and the abolishment of slavery. “This event is based off something important in Colombia: increasing the farmers market and its flowers," Mata said. "It also symbolizes the abolishment of slavery." The famous “desfile de silleteros” (flower parade) includes participants carrying large, ornate flower arrangements on their backs for several hours. This symbolizes times before the abolition of slavery when slaves would carry wealthy men and women on their backs instead of flowers. Since then, to celebrate independence, the city of Medellin celebrates Colombian nature and beauty while respecting the hardships faced by ancestors who were not allowed to experience it fully. The LSU is now bringing this iconic celebration to GVSU, where guests can experience a piece of its colorful, vibrant flair. Guests can expect to dance in a room full of spring colors and the aroma of warm food. The LSU will give a presentation about the history of Feria de las Flores and the traditions that accompany it in Colombia. In addition, two singers will perform songs in Spanish, followed by a semi-formal dinner and then traditional Mexican and Colombian dancing. Students from the Grand Rapids Community College’s Hispanic Student Organization will also participate. “When we do bring people in to dance and perform for us, it’s really interesting to watch,” said Rachel Villafuerte, public relations coordinator for the LSU. "But at the end, we have an open dance floor so everyone can dance and people who don’t know how to do Spanish dances can learn with everyone else." Both Villafuerte and Mata have a passion for dance and consider it to be their favorite part of the LSU’s events. Villafuerte encourages students to “dress to impress” and take advantage of a unique campus event, during which anyone can join and experience a key piece of Latin American history and culture.